Golf involves using different clubs to hit balls into a series of holes on a golf course. The game originated in 15th century Scotland. Don’t feel bad about your high handicap, 80% of all golfers will never achieve a handicap of less than 18. The word “caddy” comes from the French word for student, “cadet”, which is pronounced cad-DAY. Tiger Woods has won 77 PGA tournaments already. It takes 32 pounds of muscle to supply a typical golf swing. When you look for 32 pounds of muscle on the average human body, you don’t find it in the arms or shoulders, but more in the thighs and hips. If the clubface is a half-degree less than square to the ball, the ball can go off course by 20 yards. The time of contact of the golf club head with the ball is 0.005 of a second. Aerobically, golfers walk typically four to six miles in playing a round of golf. Golf ranks fifth overall in rate of injuries among the top twenty sports played. Back injury is the most common of all golf injuries, affecting about 50% of all golfers. Amateur golfers grip their clubs tighter than the professionals, as much as three times tighter. The professional usually grips the club at 25 % of maximal force. In the golf swing, the highest force on the spine occurs in the low back at the level of the 3rd and 4th lumbar vertebrae. The force of a swing can generate a force of 6000 to 7500 Newton on the spine discs, enough force to cause a disc herniation. The odds of a professional golfer sinking a hole-in-one in a single round are 3708 to 1. The diameter of a golf ball is 1.68 inches, and the diameter of the hole is 4.25 inches. Compared to moderate weather, on a hot day the drive will travel 3 yards farther. Compared to moderate weather, on a cold day the drive will land 2 yards shorter. Keeping the ball and equipment warm in cold weather is important in driving distance. Of the two, keeping the ball warm is more important than the clubs. Placing dimples on the golf ball allowed increased driving distances. Compared to a non-dimpled golf ball, similarly hit balls showed that a dimpled ball traveled a distance of 260 yards compared to the non-dimpled ball. Studies have shown that modern drivers have added 10 to 15 yards of distance for professional golfers compared to those from the early 1990’s, and over 30 yards more than a 1980 vintage driver. Cavity back iron designs have made it possible to construct larger-headed irons with expanded sweet spots that weigh less than the smaller iron designs they replaced. This means that you can increase your swing speed, and at the same time, improve your accuracy. Comparing hitting the ball similarly at sea level and at 5000 feet, such as Denver, would add 10 yards to a ball hit at this higher altitude. Most recreational golfer reach a top speed too soon, as a result, the clubhead actually starts to slow before ball contact. Optimal results are to reach maximal speed at ball strike. Jack Nicklaus won the Masters a record 6 times. The world’s first ever golf tournament for women was held on New Year’s Day in 1811 at Musselburgh. Tiger Woods is 6’ 1” tall. A Putt Measured at 140 feet and 2 3/4 inches on the 18th at St. Andrews was sunk by Bob Cook in the International Fourball Pro Am Tournament on October 1, 1976. The Solheim Cup is the Women’s equivalent of the Ryder Cup. The highest golf course in the world is the Tactu Golf Club in Morococha, Peru, which sits 14,335 feet above sea level at its lowest point. 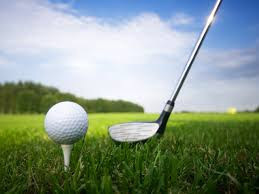 John Hudson, a 25 year old professional, achieved a near miracle when he holed two consecutive holes-in-one at the 11th and 12th holes (195 yards and 311 yards respectively) in the 1971 Martini Tournament at Norwich, England. In March, 1961, Lou Kretlow got the longest hole-in-one at the 427 yards 16th hole at Lake Hefner course, Oklahoma City, USA. The driver swing speed of an average lady golfer is 62mph; 96mph for an average LPGA professional; 84mph for an average male golfer; 108mph for an average PGA Tour player; 130mph for Tiger Woods; 148-152mph for a national long drive champion. Phil Mickelson, who plays left-handed, is actually right handed. He learned to play golf by mirroring his father’s golf swing, and he has used left handed golf clubs ever since. Arnold Palmer won 95 Professional tournaments. The largest bunker in the world is Hell’s Half Acre on the 585-yard 7th hole of the Pine Valley Course in New Jersey. Tiger Woods holds the record at -18 for the US Masters. Adam Scott was the 2013 US Masters Champion. The longest putt ever is a monstrous 375 feet. Seve Ballesteros won over 90 international tournaments. Harry Vardon won the British open 6 times. Nick Faldo scored 25 Ryder cup points in his career. A typical Golf course consists of 18holes. St Andrews Golf Course was established in 1552. Sergio Garcia won his 1st PGA golf tournament aged 21. 3 shots under par on a hole is called an Albatross or Double Eagle. Ernie Els is nicknamed “The Big Easy”. Nick Faldo won the US masters 3 times. Tom Watson won the British open 5 times. Stewart Cink is 6’ 4” tall. Ian Woosnam only won 1 Major tournament – the 1991 US masters. Rory Mcllroy won the 2011 US open at -16, winning by 8 shots. Tiger Woods has won over $100million and counting in prize money. Arnold Palmer was nicknamed “The King”. 3 shots over par on a hole is called a Triple bogey. With 17,672 golf courses, USA has 50% of the golf courses of the world. 4 or 5 different jets sizes strategically placed within the tub. you will need to adjust it using a spa down or spa up product to alter it. Buy hot tubs in different hot tubs van ness price ranges. ness pools and say goodbye for the winter months. The present day companies are making use of a large global PR company. What key media relations familiales contacts can we cultivate and how can we leverage those? the legal profession is anything but strained. There are online portals news 12 ct like the sarkarinews which are specifically modeled after catering the needs of the business in raising money for its overall operations. To watch live streamingtelevision including fox, hbo, espn, sky, nbc, or cbs channels on the internet for download. People has become more complicated.